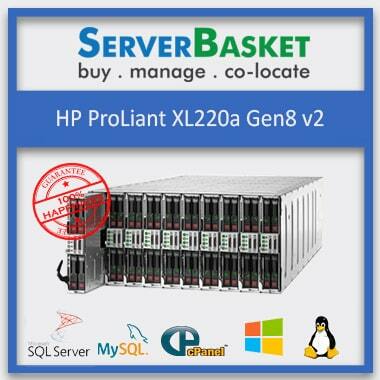 The Second Hand HP Proliant Bl465c Gen8 Server is an excellent choice for data centers, large enterprises such as educational institutions, e-commerce and more. With its powerful AMD Opteron processors, large memory footprint, expandable storage, and graphical workload ready configuration, this is an excellent server for any demanding operations. 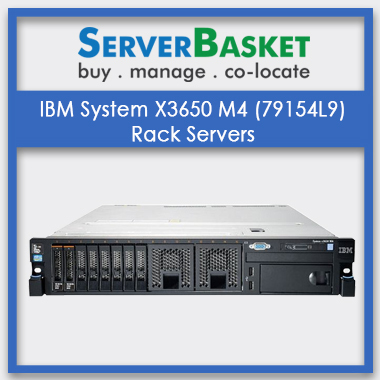 Buy this Refurbished server made with 100% authentic equipment from Server Basket at a great price along with a 3-months long warranty period. 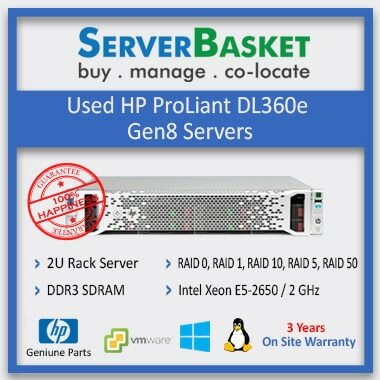 This Used HP Proliant Bl465c Gen8 Server is ideal for data centers because of its enterprise-level reliability, making it suitable for diverse business applications. Despite its superior form and performance capabilities, this blade server is affordable due to its AMD Opteron processors that make it cheaper but just as powerful as its Intel counterparts. 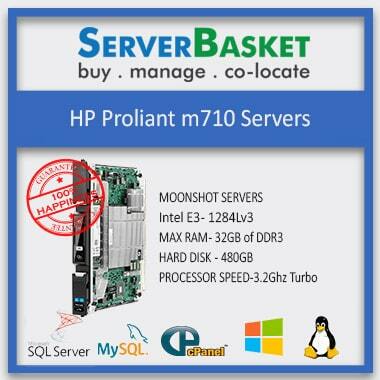 The Used HP Proliant Bl465c Gen8 Server is also space efficient with its half-height form factor supporting an impressively large memory footprint. Coming To the core features, The Used HP Proliant Bl465c Gen8 Server is boosted by AMD Opteron processors of the 6200, 6300 series. Promising real-world value and performance, these powerful processors can be upgraded to two in the Bl465c Gen8. Cores are scalable up to 16; with 12, 8 and quad-core processors available as well. The cache memory provided is Level 3 and of 16MB. AMD SR5690 and SP5100 chipsets are the choices available depending on the model you opt for. The economic, cost-effective and high-intensity performance of these processors cannot be taken lightly, as they deliver on par with their Intel counterparts at a far more affordable price. Multiple configuration options give you the freedom of designing a server suitable for your organizations. The Bl465c Gen8 does exactly that which can be seen clearly in the wide array of storage options provided. Hard drive options available are SATA SSD/ SAS SSD with a maximum of 3.2TB available, and 1TB if only one hard drive is used. Two PCIe expansion slots are also provided, a 1 x8 PCIe 2.0 Type A that supports Type “A” mezzanine cards and 1x16 PCIe 2.0 Type “B” that supports mezzanine cards of both Type A and Type B. 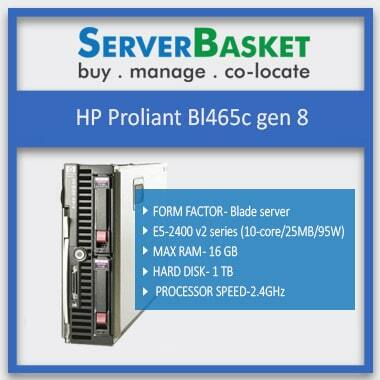 The Used HP Proliant Bl465c Gen8 Server is ready for graphical workloads. The video accelerator chips compatible with this refurbished server are Integrated Matrox G200 video standard. System performance is handled skillfully by the HPE iLO4 on System Management Memory which boasts of 16MB Flash, a 256 MB DDR3 with ECC. Managing graphical workloads has never been easier or more time-effective. 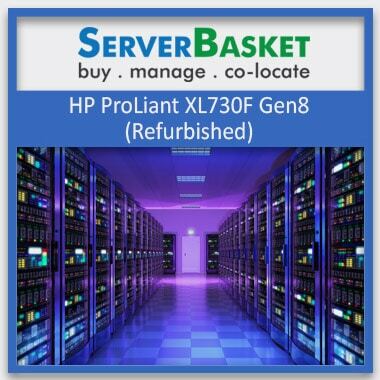 Server Basket is providing free pre-sales guidance for this Used HP Proliant Bl465c Gen8 Server. Virtual demo, advice on various configurations are all provided so that you have a server that fits into your organization’s manifestos perfectly. Our free pre-sales guidance will also help you make choices that will ensure your server does not become redundant in the future. Our technical support is available for you round the clock, every day. Any problems that you face- be it troubleshooting, software or hardware issues or difficulties in operations will be happily and readily addressed to by our experienced staff. You can be sure that any concern or issue from your end with the Bl465c will be solved rapidly by us. 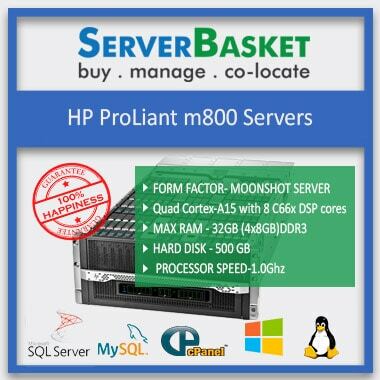 Server Basket provides a 90 days warranty period for your Second Hand HP Proliant Bl465c Gen8 Server. Within this window period, we promise 100% support for any hiccups that you could be facing with your server and will address it thoroughly. You can be sure that no other site offers such comprehensive protection for a refurbished server as Server Basket. This dealer provides me the refurbished server with very low price, I come across all the dealers but no one can have this special prices. Am happy with this dealer. I was searching to buy refurb server at a low price for my start-up business. One of my friends suggested me this site. I found this site provides the best server at a low price. Am happy with the service. I bought one server from another dealer they didn’t provide me genuine server, But after purchasing this second-hand server from this dealer. I found that no other dealer can provide as this dealer.